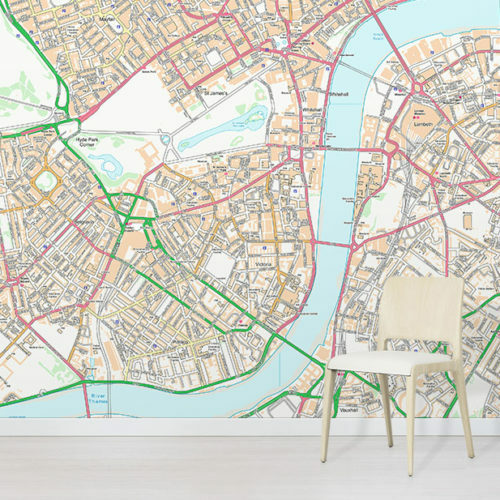 Create a beautiful feature wall in your home with our Pastel Blue World Map Wallpaper Mural. Soft hues give this design a calming and peaceful effect. 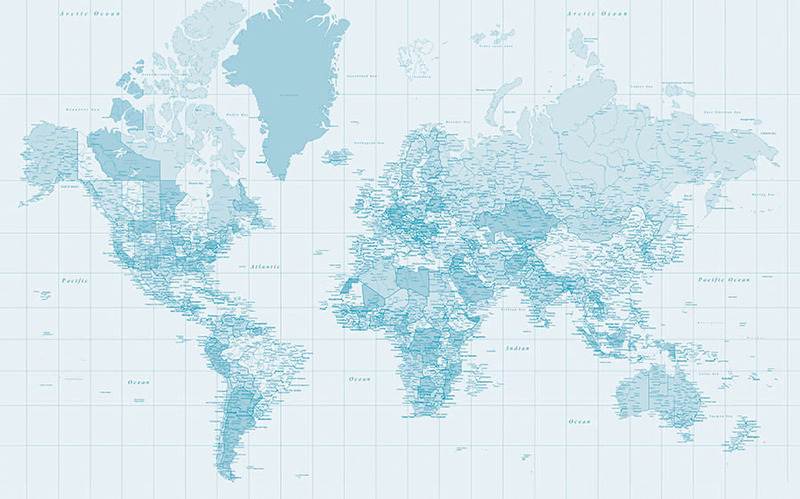 Our Pastel Blue World Map wallpaper is an elegant choice. The soft-hued design is ready to grace your walls. In effect, it will enhance your living space. 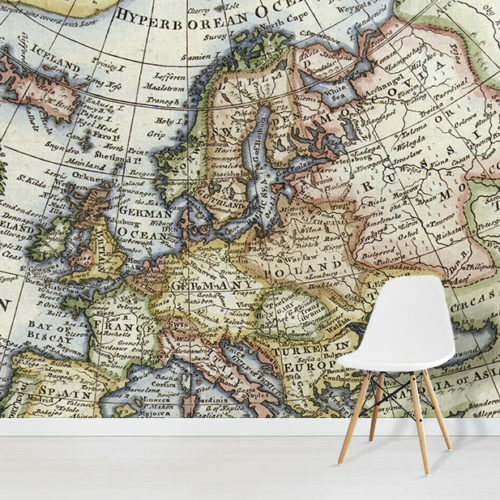 World Map imagery provides an interesting design element in the home. Especially when installed at a large scale over a whole wall. Particularly, this delicate design would be perfect for a nursery or children’s bedroom. The simple colour palette will work with any interior colour scheme. Additionally, this world map includes clearly labelled country and city names. Therefore, the wallpaper doubles up as an educational tool. 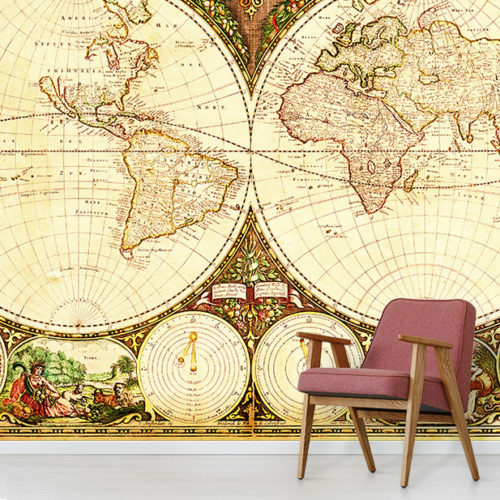 If you are looking for a stylish wall design, consider this world map mural. Undeniably, it may be the a perfect choice for your feature wall. 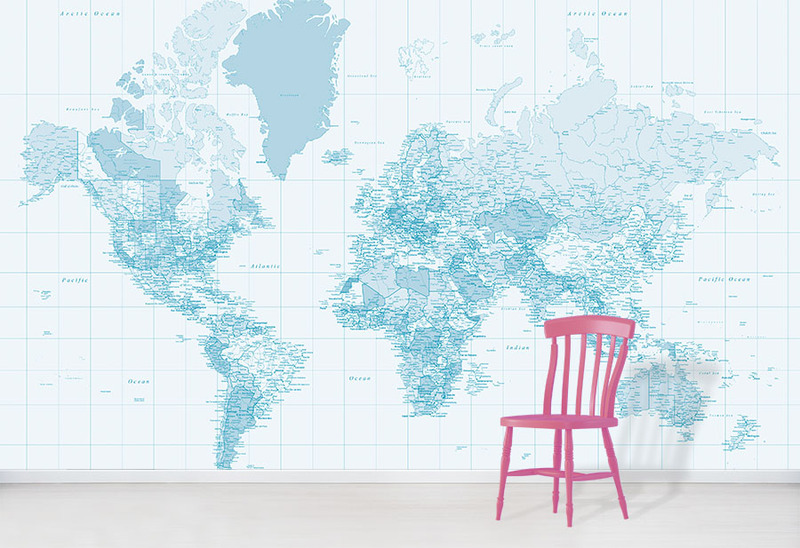 Our stunning Pastel Blue World Map wallpaper will add a subtle yet effective element to your interior decor.